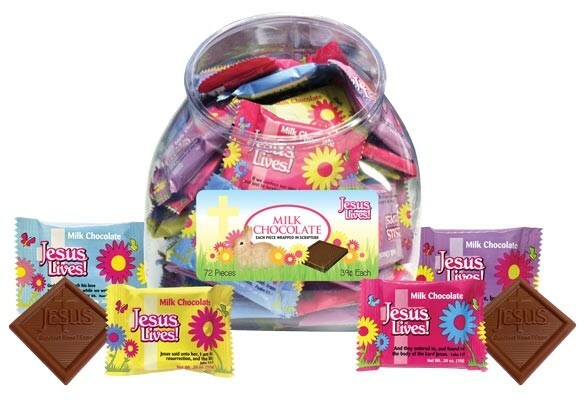 This jar of Christian Chocolates feature Rich, smooth, milk chocolate is individually wrapped in the "Jesus Lives!" theme and a love scripture. Treat yourself or your loved ones to these delicious religious candy chocolates, proudly made in the U.S.A. These Easter Bible verse chocolates are perfect for Easter Gift baskets or for church or school gatherings. Approximately 80 pieces per jar.